Mazda 6 Forums : Mazda 6 Forum / Mazda Atenza Forum > Visual / Audio > Mazda 6 3rd Generation (2013-Present) > In Car Electronics > After market reversing camera for 3rd gen? After market reversing camera for 3rd gen? I'm trying to install a chinese reversing camera to my 2017 M6. 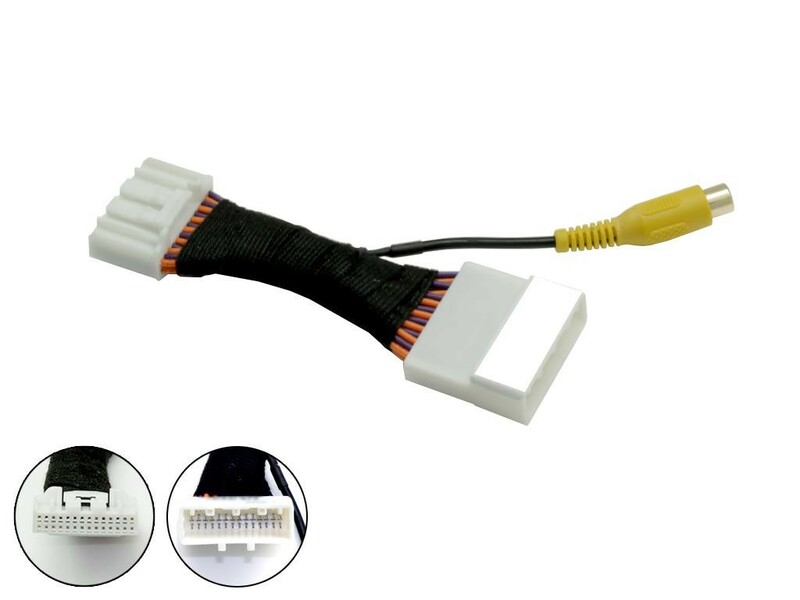 The item came with a cable but the connector doesn't fit in any of the connectors behind CMU... I have contacted the seller but trying to make the chinese sellers understand my problems is PITA! I have tried to collect info from workshop manuals and other forums. So far I have managed to find out where the video signal is supposed to be connected in the CMU. I don't have the wiring diagrams of M6 but I have founds this pinout diagram of M3 and I believe they share the same pins and connectors. The connector for the camera is the white with 28 pins. So according to this pinout diagram 1A = VIDEO +, 1B = VIDEO GND, 1C = CAMERA POWER (+) 1D = CAMERA POWER GND. The original camera is powered with 6V so I assume there is 6V voltage between 1C and 1D. 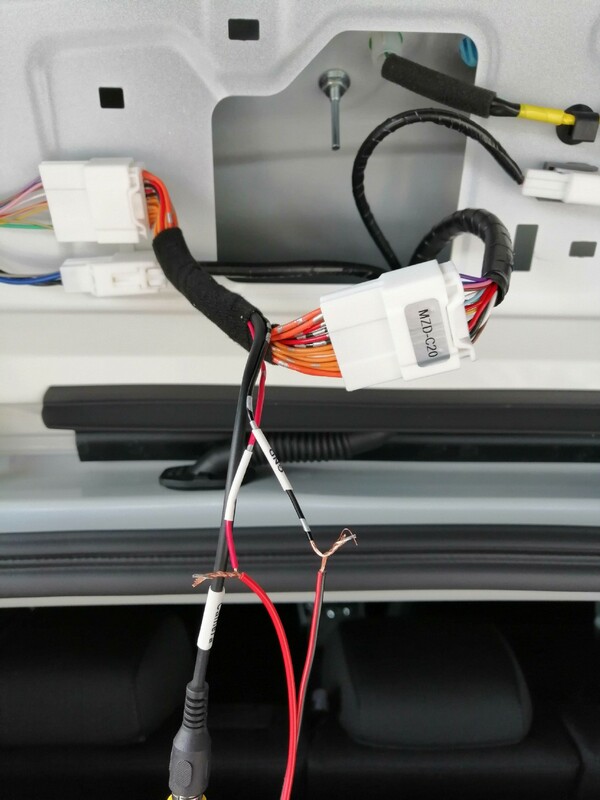 Inspect the following wiring harnesses between the audio unit and rear mount camera. When I peeled away the left side garnish in the trunk, I was able to see a cluster of cables. I wonder if the cables for the camera are already in there.Has anyone else installed an after market reversing camera to a 3rd gen M6? 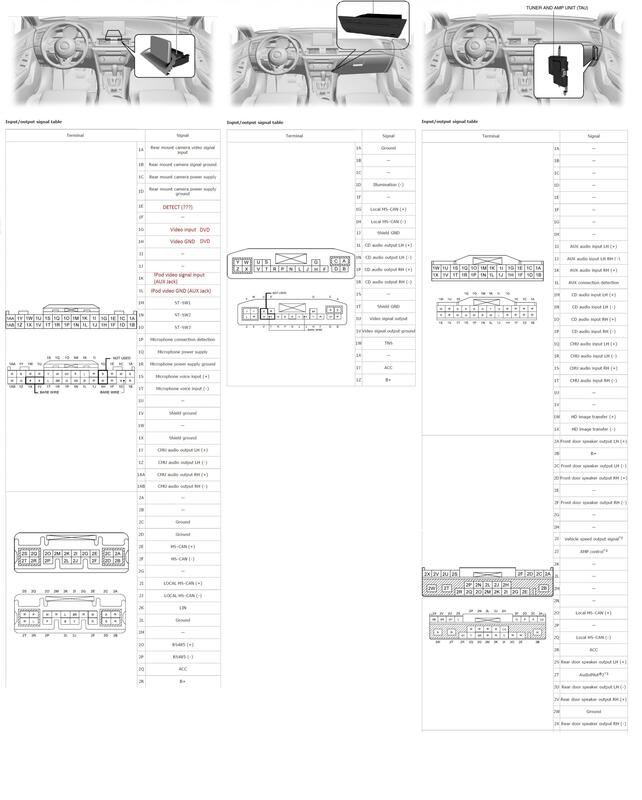 I would be thankful if someone could confirm these pinouts (1A,1B,1C,1D) of the 28-pin connector behind the CMU! You may have to tap into the wires. I have a aftermarket radio and I purchased the adapter, for the OEM backup camera to work with the aftermarket radio. But I believe the same adapter works for the OEM radio. I am not sure if you need it. Looks like it would be too much trouble to try to find the correct wires. Luckily there is an adapter cable available. I'm going to order one for easier installation. This cable doesn't have the voltage output so I have to find a way to feed 6V to the camera. With the harness i posted above, the camera is always getting power. When the radio is on. Just tap into any 12v fused and get a 6v step down reg. You might not need a 6v step down regulator. The OEM camera is 6v. Your aftermarket camera prob regulates its own power with the harness. I have now spent couple of evenings trying to figure out how to install this camera and I am exhausted... The new connector I got was wired in a strange way. The "video signal +" was in the right place but the "video signal gnd" was in the "rear camera power supply gnd" terminal. I had to solder the "video signal gnd" to the right place. 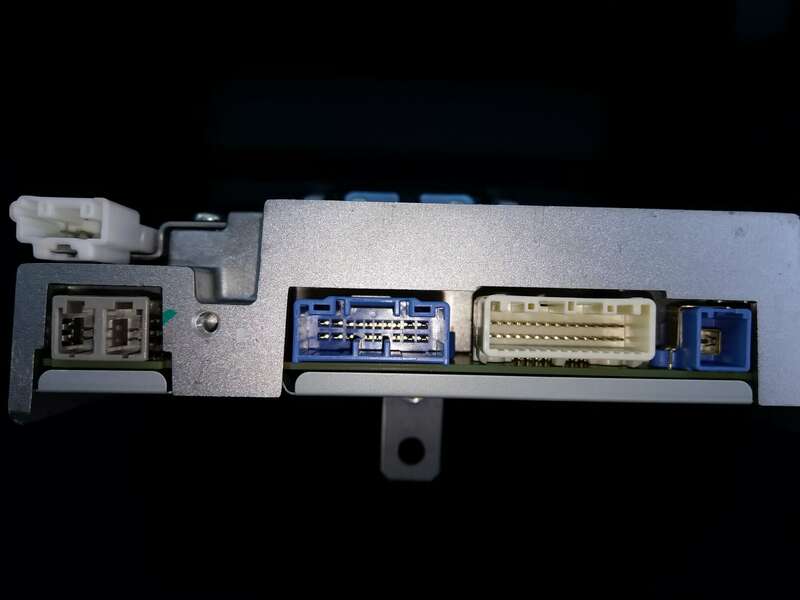 The pins can be removed by pushing a small flat object in the hole below the connector but I couldn't find anything that would fit in there. The adapter cable was ready and I began to test if everything works. After connecting everything I noticed that if the engine is running and I switch to reverse, the leds in the camera light up but there is no signal. After shutting down the car the leds were still lit up. Fortunately I noticed it because it could have drained the battery in a long run! So I have no video signal but leds are working so I have to start the fault diagnosing process. I took everything in to my garage and hooked the camera in to my small chinese 7" TFT monitor. I powered the camera with my adjustable lab PSU. The camera is supposed to be 6V camera just like the OEM one so of course I'm feeding it with 6VDC. "No signal" reads in the monitor... I had another cheap camera so I wanted to test the monitor and the cables with this second camera. Everything was working with this camera so I begin to think that maybe the new camera is faulty. I try to message the seller and luckily he responds quickly. He believes I have chosen the wrong source from my test monitor because he can see it has 2 video inputs from the photo I sent him. I tell him that the monitor works well with another camera. Next he asks me to connect the camera to 12V. I ask him if he is sure about that because it is supposed to be a 6V camera and it even reads 6V in the cable. So I proceed to connect the camera to 12V instead of 6V and boom, there is the video signal! Now I have to figure out how to get 12V for the camera from the wiring of the car. I guess I'll try the reversing lamp. I took the cables out again and connected the composite video to my old but trustworthy TFT monitor. Engine on, reverse gear and I can see the video from the camera in the TFT monitor. So the camera works and it outputs video signal. I confirmed that the adapter cable is ok and used a multimeter to check the continuity from the video connector to the pins. All good. Can someone figure out if I'm forgetting something? 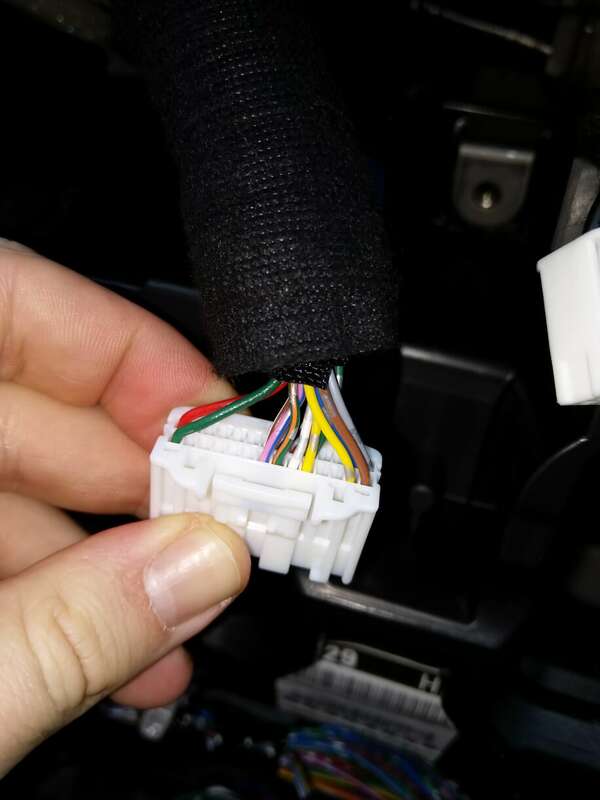 Or you may want to check the trunk to see if you have a 20 pin or 12 pin connection.